Earlier this year, we reported on a study that showed how college students can reduce stress by being more self-compassionate. The central idea was that freshman students should avoid negative self-judgments and relax their academic standards to fit their new setting. Now, a new study suggests that students should also practice mindfulness in addition to self-compassion. Researchers from Penn State say that taking time to catch your breath and meditate can help increase students’ overall life satisfaction. “We found that underneath the stress that students are experiencing is a deep desire to appreciate life and feel meaningful connections with other people. It is our responsibility as educators to create academic environments that nurture both students’ minds and hearts,” said lead author Kamila Dvorakova. To help college students ease into their first year, Dvorakova and her colleagues offered an eight-session training program on mindfulness. At the sessions, students were asked to focus on mindfulness meditation and developing an accepting, nonjudgmental attitude towards current thoughts and feelings. "We offered an experiential, practice-oriented training. Rather than telling the students what to do, we had them explore and talk about how to be mindful in their daily lives and discover the benefits for themselves,” said Dvorakova. By the end of the eight-week period, students were asked to rate their overall satisfaction and describe any changes that occurred because of the training. Overall, students reported significant increases in life satisfaction and significant decreases in depression and anxiety when compared to students who did not participate in the sessions. Additionally, the researchers found that there was an overall drop in alcohol use amongst participants. Participants said that taking three mindful breaths, practicing breath awareness, and being mindful of their emotions were the three most helpful in-class exercises that they learned, and 98% of respondents said that they would recommend the program to their peers. "The beginning of the college career presents such a unique opportunity -- all of these students are going through this same transition at the same time," said mindfulness and meditation integration specialist Mark Agrusti. 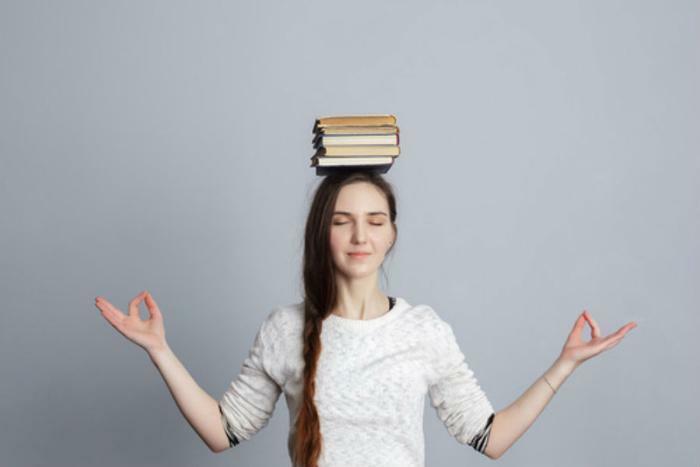 "These freshmen are beginning to acquire habits and perceptions that will shape their lives as students and adults, so it's a perfect time for them to discover practices, such as mindfulness, stress management, self-care and emotional literacy skills." The full study has been published in the Journal of American College Health.